It’s time for another installment of Paddle Black and Red. We’re going back to Spanish Lake thanks to special permission from the property owners, but this instead of a bright moon, we’ll have a moonless night. Bring your red lights and enjoy. 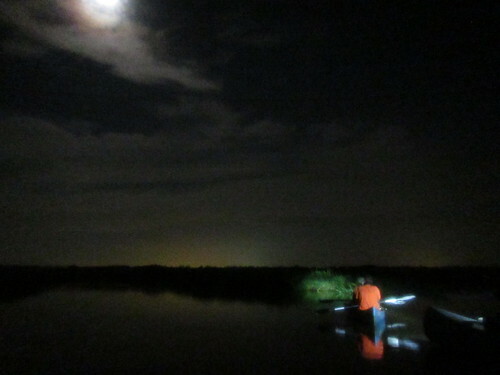 Who: Anyone interested in paddling Louisiana at night. What: About 5-1/2 miles round trip on Bayou Braud and Spanish Lake. When: Saturday, July 11, 2015, starting at 7:00pm. Why: Because red-light night paddles are fantastic, and because the only time you can paddle here is when we have special permission for PaddleBR to access this private property. If you are a member of PaddleBR, come join us for a great evening of paddling. If you are not a member, come anyway — you can join at the event or even just paddle as a guest. 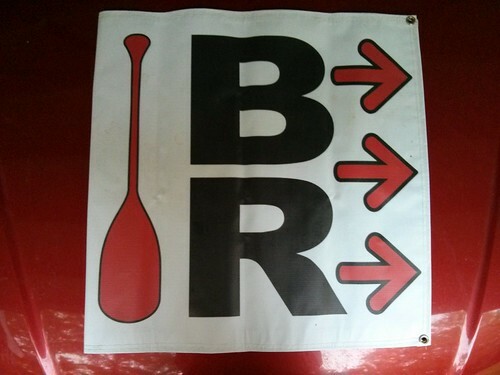 (If guests would like to donate $5 or so to help support PaddleBR, we would be most grateful, but it is not a requiredment.) Canoes and kayaks can be made available for those without their own boats — quantities limited, so reserve now (just email Nathaniel). Sounds so fun! We have to miss it because we are moving across town this weekend. Hope you have another night paddle soon. We enjoy all the photos and stories immensely!